It's the first Wednesday in April, which means it's time for IWSG! 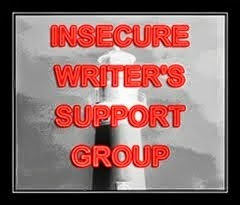 The Insecure Writer's Support Group is a cool writing group. Do check them out here. The awesome co-hosts for the April 4 posting of the IWSG are Olga Godim, Chemist Ken, Renee Scattergood, and Tamara Narayan! You eat an elephant one bite at a time, so drips and drabs totally work for me. I think the digging down mostly comes when you have a deadline and outside expectations. Or at least, that's how it works for me. I have neither of those things, so I'm going at my own pace at the moment. Oh yeah, I've had that--but usually with historical ideas. All that research is exhausting. Writing in dribs and drabs is critical for me, and all I've been able to manage in the past couple of months. But those bits will bloom into full fledged scenes and all is good. Dribs and drabs are still writing and they still count. Dribs and drabs describes my good writing days. Lol. But you're right, there is so much to do in life around us to dive into. Gosh, even if I could write in just snippets--or dribs and drabs--I'd be happy some days. Thanks for saying it's ok to dance around the house when things aren't working out. I do that sometimes.